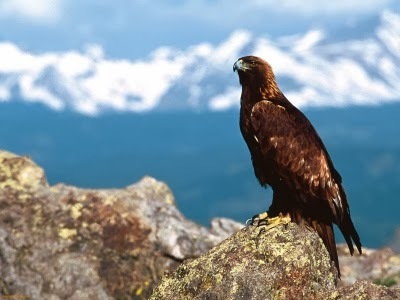 The golden eagle lives in the northern hemisphere. 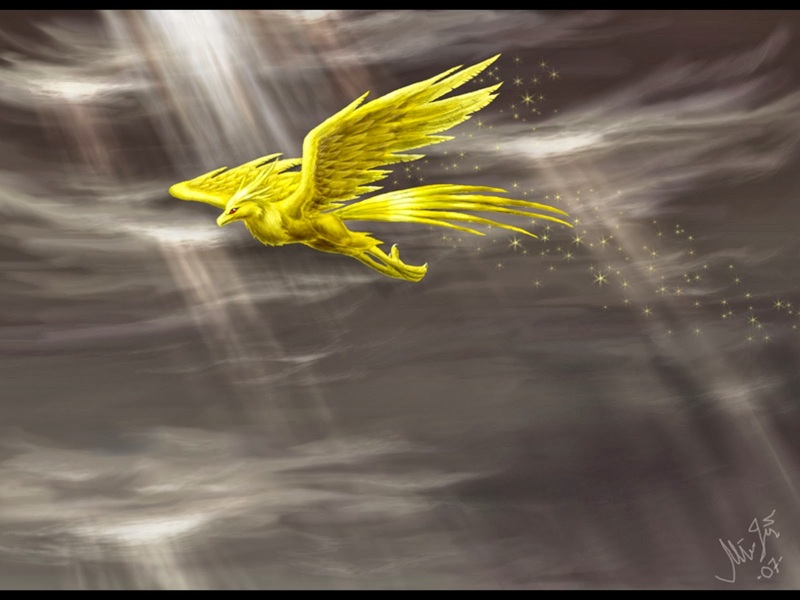 It is a bird considered as the symbol of courage and power because of its size, and because of its capacity to fly. 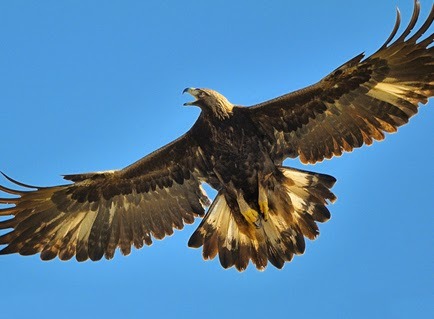 It builds nests in hardly accessible areas, where the immature golden eagle can train for flying without being threatened by humans or other raptors. 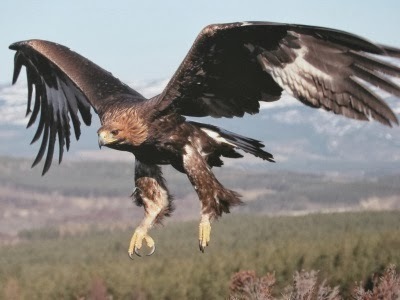 The golden eagle can be found anywhere in the Asian area besides France. In Northern America, it lives in the Western USA and Canada. The females reach a length of one meter with a wings spawn of two meters. A characteristic of the gender is the leg feathers. The nests are built on the tops of rocks, but they can also nest in high trees. The nest is big, made of sticks and branches. The nest is used from one year to another, so it can reach a diameter of three meters. The eagle lays 2-3 eggs every year. The food of those birds is composed of mammals, from rats to rabbits and snakes. 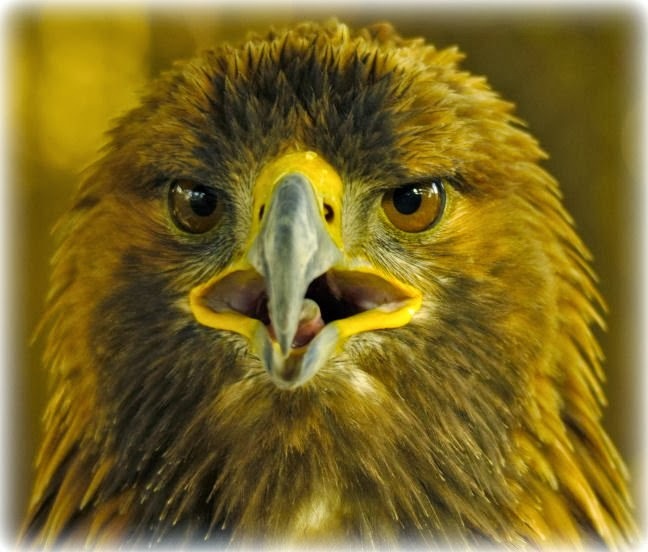 However, while they raise babies, the eagles prefer to eat smaller birds, because those are perfect for their babies. 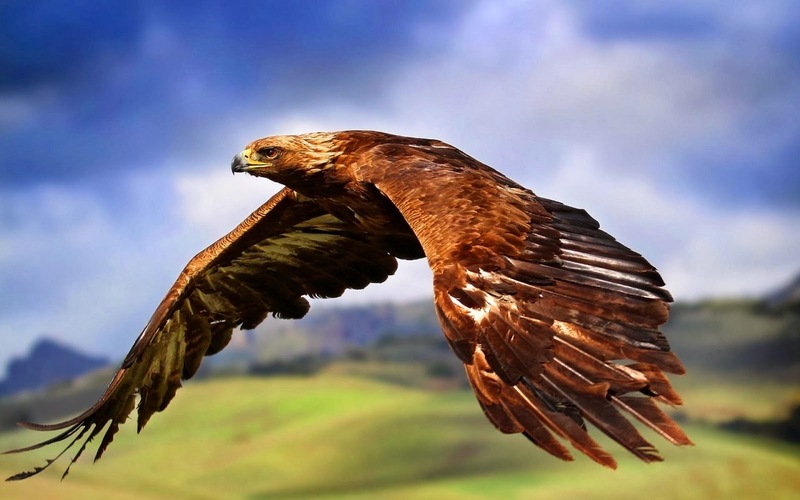 There are eight species of eagles in the Euro-Asian area. The smallest of them is the Spotted Small Eagle, which lives in the center of Europe and migrates to South Africa during the winter.